The musicals of the post-WWII years can be a fascinating window on American society at the time. Suspiciously anti-social rock stars were followed by swooning teens and made household words by Ed Sullivan. Corporations were endemic, and the fodder for satire. Unions were virtuous, not to mention victorious when fighting unreasonable management. The story is simple enough: Sid, a young and handsome factory supervisor who’s new in town, falls for Babe, the head of the union’s grievance committee. As a strike nears, their romance runs into conflict with the management-union struggles of the pajama factory where they both work. Other office workers dabble in romance, rage with jealousy, or just look on with wry amusement. 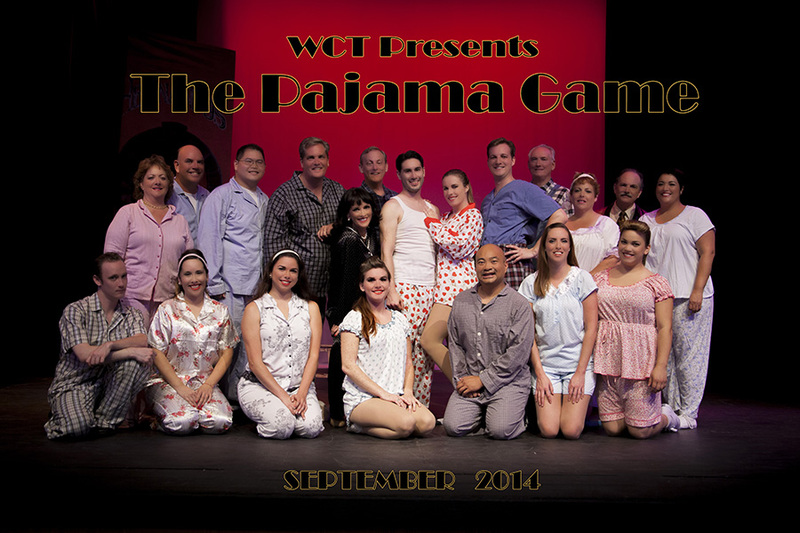 At Whittier, this “Pajama Game” has much to recommend it, even if there are a few weak spots. Amy Miramontes is charming as Babe, with an aura of worldly-wise sophistication and a charming voice. As Sid, Jason Miramontes (Amy’s husband) proves handsome and energetic, creating a charming version of this often rather wooden character, though he needs to work just a bit on pitch when he sings. Beyond the leads, the standout, if brief, performance has to be Eric Nelson as Babe’s tolerant,. charmingly uncomplicated Pop. Other performers worthy of particular note are Tina Quick-Snedaker as Sid’s wise and motherly secretary, Justin Patrick Murphy as the lascivious union Prez, Greg Stokes as the wildly emotional time-study man Heinzie, and Jeri Harms as the intense, sensual corporate secretary Gladys – over whom Heinzie hovers. Isabella Ramirez, Becca Schroeder and Jennifer Bales do a reasonably Bob Fosse-style “Steam Heat” – the particular triumph of Schroeder’s choreography. Indeed, the entire cast proves likable, even if there are moments of varying skill. Director Roxie Lee has taken this episodic tale and kept the pacing moving, thanks in part to her self-designed, minimalist set. She keeps the characters earnest and well connected to each other, which adds to the flow. Musical director Brian Murphy succeeds in celebrating the sheer tunefulness of this show, including putting together a solid orchestra. Karen Jacobson gets a major nod for managing convincingly period costuming on a community theatre budget. 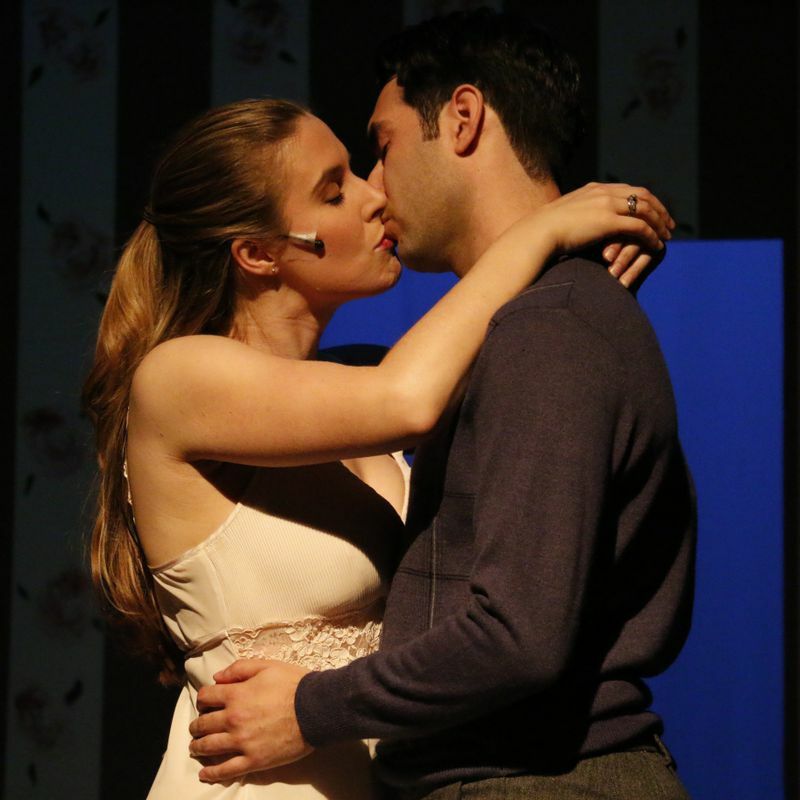 In short, “The Pajama Game” is a window on another time and another ethos. It is tuneful and endearing, and lets a younger generation know that those old folks weren’t quite as pure as it may seem. And it’s fun. You will easily find yourself humming the tunes as you leave, and wondering what happened to the whole universe in which this little tale takes place.